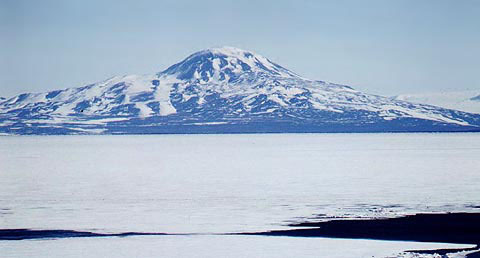 8796 ft (2681 m) . 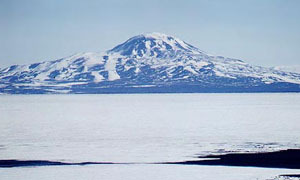 Mount Discovery is yet another spectacular volcanic cone which can be seen from McMurdo Station, located only 40 miles (65 km) southwest of the base on the shore of the mainland. 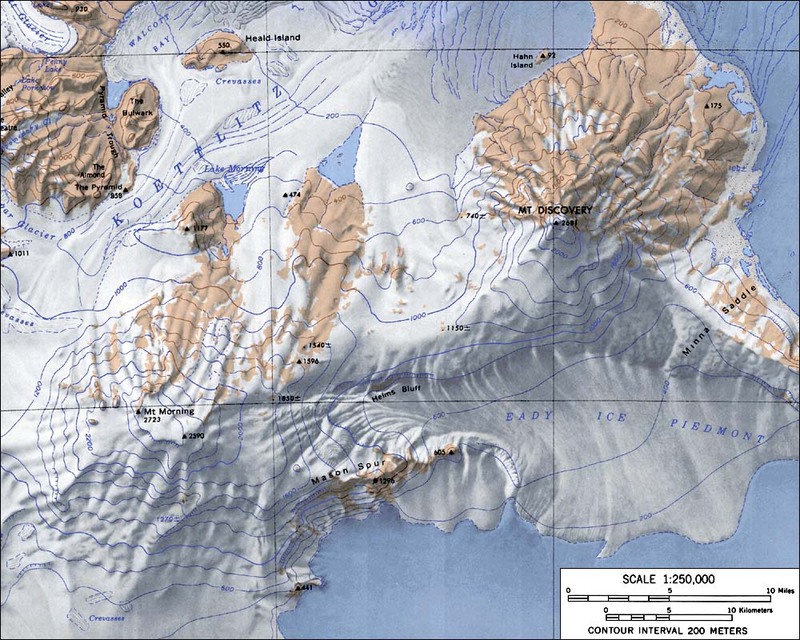 Discovery rises straight up from the edge of the Ross Ice Shelf for over 8500 vertical feet (2600 m), with a relatively uneroded form that belies its true age of over 5 million years. 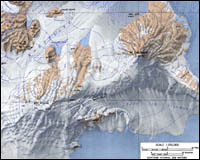 The northeast slopes (which face McMurdo Station) are relatively bare of snow and ice, while the glaciers on the south side rise smoothly up to the dome-like summit and would provide the best route for a ski ascent and descent.